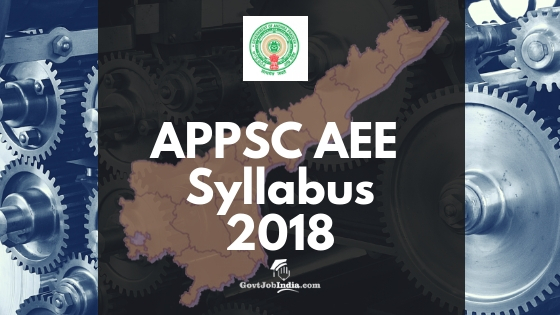 APPSC AEE Syllabus 2019 PDF : Andhra Pradesh Public Service Commission (APPSC) is set to conduct their APPSC AEE exam in 2019. Candidates who are applying for the Civil, Mechanical and Electrical Engineering posts can prepare for their screening test and main exam using the APPSC AEE syllabus PDF and study material provided here. The APPSC may conduct an offline screening test in order to narrow down the total number of candidates who have applied for this recruitment if the number of applicants exceeds 25000. Govt Engineering Job exams such as this one are highly competitive. This is because India produces the largest number of B.E. and B.Tech. Graduates in the world. This is evident from the fact that the APPSC themselves are aware that they may get more than 2500 applications for this post which only has 309 vacancies. Therefore, kindly check out all the details provided below regarding the exam syllabus and paper pattern. We hope to help you in the best way we can in order to make sure that you are prepared for the APPSC Assistant Executive Engineer Exam 2019. 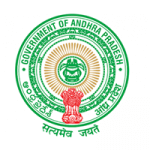 The detailed Andhra Pradesh Public Service Commission (APPSC) AEE Exam Paper Pattern has been provided below for all the candidates who are appearing for the AEE Exam 2019. We urge that you check out the paper pattern and prepare accordingly for your exam because every mark you score will count greatly in determining whether you get selected for this amazing opportunity in the Andhra Pradesh Govt. The exam will be MCQ base and will account for a total of 100 marks. The exam will be conducted in centers throughout the state of Andhra Pradesh. The candidates must appear for the exam that features the subject that they are applying for e.g. Civil, Electrical or mechanical. The APPSC AEE Syllabus 2019 has been detailed elaborately on the official notification pdf of the APPSC. We have provided a link down below which you can use to get the official exam syllabus. We request that you use this link in order to download the AEE Syllabus PDF so you will have constant access to this file whenever you need it. Keep in mind that the syllabus is different for both Screening Test and the Online Main Test. We have provided separate PDF files for both in the link below. We believe that all the information provided on this page regarding the APPSC AEE Syllabus and Paper Pattern will be of help to you in your exam preparation. All the best for your AEE Exam 2019. Feel free to comment down below regarding any doubts you may have as we are ever ready to answer all your questions.